Will Smith’s new movie, I Am Legend, is not just a good movie. It’s a great movie! Why you ask? 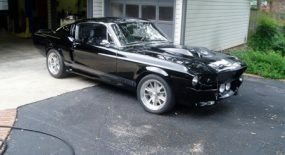 because it features a red 2007 Shelby GT500. Ok I know, a weird title but just bare with me. I’m not into drug dealing or anything. I’m currently reading this book called “Blow“ (you may know the movie with Johnny Depp and Penelope Cruz) which is the true story of a guy called George Jung and his life of drug smuggling. Anyway something caught my attention in one of his tales of the many dealings he had with an Mexican associate named Cosme. 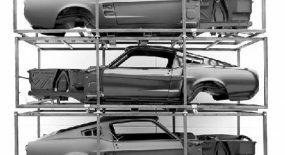 Here’s the spiel to do with the Shelby Mustangs. OK so it’s a fact! I am an idiot. It pays to do your research and when you don’t you’ll get into the predicament i am in. So I’ve spent several months and close to one thousand dollars and now we’ve figured out we have the wrong size lights! 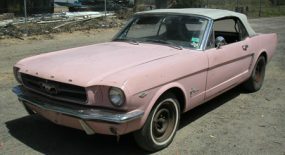 Well the time has flown by but 67mustangblog is one year old! hurray! It’s been hectic year for me with this car but I hope you all have enjoyed my posts on the old girl (and old the random stuff in between). 3. 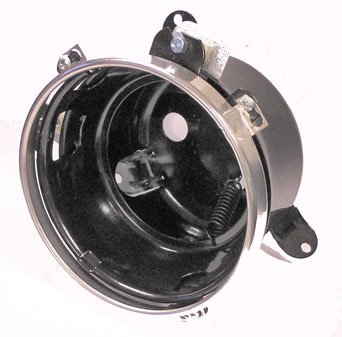 PIAA lights installed, Front nose, Fuel filler! 7. The steering wheel escapade! But it’s without a doubt that the whole Unique Performance debacle has been the hot topic of the year. Their spectacular fall from grace has been widely published and documented, especially on this blog. So here is the Unique Performance trail of destruction…so to speak. 2. Shelby threaten Unique Performance! 4. 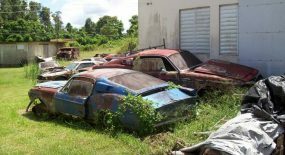 Unique Performace raided – Police confiscate 64 cars!! 5. Unique Performance ex-staff tells all! 8. 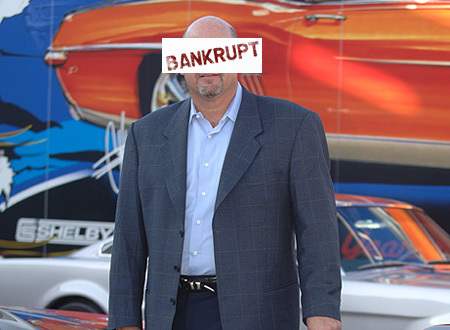 Unique Performance – Bankrupt! Thanks to everyone who has supported the site by reading and commenting, thanks to the crew of people who keep coming back. 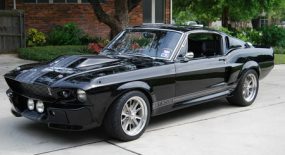 I’m glad you enjoy it, because I sure as hell love breathing anything Mustang and Eleanor. Here’s to another year of restoration! I know I know!! It’s like flogging a dead horse but still worth posting as not everyone has seen it. Seems some Unique Performance customers have gotten so fed up they have created personal websites berating the troubled company. 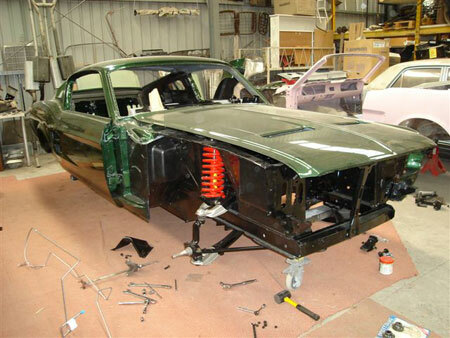 Speaking of the Bullitt Mustang, I just received these images from my builder of a 1968 Fastback he’s restoring into a 1968 Bullitt Clone. I don’t have much info on it but thought I would post the pictures up anyway. This latest news has to be another kick in the guts for the Texas based Unique Performance who are facing criminal charges for alleged title washing not to mention court action for breach of copyright on the ‘Eleanor’ name. The latest news in is Unique is going chapter 7 (liquidation of all assets). From all accounts Unique Performance is dead. 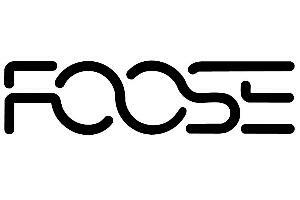 Here is the press release from Foose. 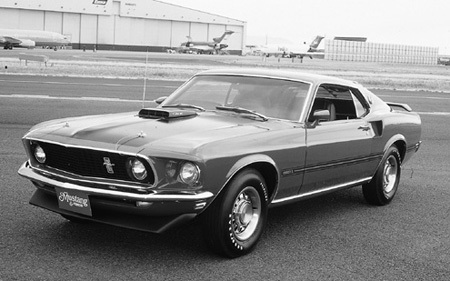 A new Mustang is ripping up roadways 40 years after a legendary on-screen car chase. 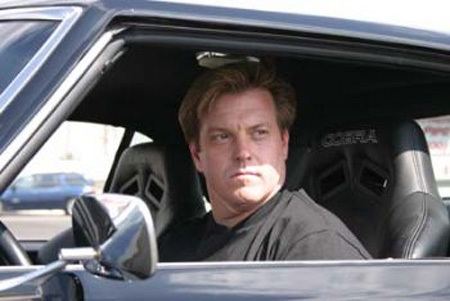 Ford have just released the new 2008 Bullitt Mustang. 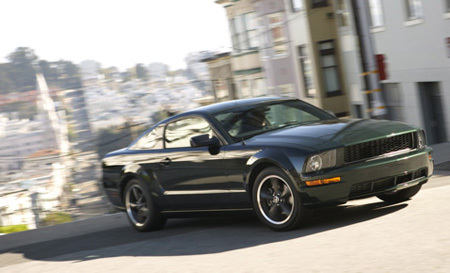 The 2008 Ford Mustang Bullitt is an update of the 1968 pony car driven by Steve McQueen in the movie Bullitt. Last year the car chase scene in Bullitt was chosen as the best of all time. The 2008-version goes on sale in January. Ford will produce just 7700 for the American market, with a starting price of $US31,075 ($35,255) .